In a denomination that has long stressed dedication and sacrificial wages, there are at least 52 highly paid Adventist hospital executives receiving annual “total compensation” ranging from $815,000 to $5,079,386.1 The reportable W-2 earnings in the group averaged $729,434 per individual in 2010. With benefits, retirement, and other perks, this lifted individual executives’ “total compensation” along with wages to an estimated average of $1,346,679 in the same year, according to data obtained from the IRS 990 reports.2 There are many more executives on the way up from $196,500 to $815,000. As a point of reference, the annual wage of former General Conference (GC) President Jan Paulsen in 2008 was $87,008.3 If you are looking for a career that provides an opportunity to stack up worldly wealth and help coordinate the healing ministry of the Seventh-day Adventist Church, just about any administrative job in the Adventist healthcare system is your best option. Persons closely connected to wage and salary policies for workers in God’s vineyard are aware that the General Conference approved a higher remuneration structure for top administrators and other employees in the Adventist healthcare corporations. The last step occurred during the 1989 Spring Meeting of the GC Executive Committee, acting as a North American Division committee.4 Adventist Review reported that the topic of wage-scale improvements provoked a lively and sometimes cantankerous debate. Aspects of the debate continue to the present. The meeting chairman, former GC President Neal C. Wilson, favored the new salary structure. At the end of the day he could see that removing the salary caps for hospital leaders was not going to pass, so he called for a motion to table the matter. Church leaders present in the meeting discussed how higher pay had already caused tension between hospital employees and church workers. Individuals who opposed larger wages felt that the decision was contrary to repeated statements from the Spirit of Prophecy, such as: “If a portion of the workers receive large wages, there are others, in different branches of the work, who will call for higher wages, and the spirit of self-sacrifice will gradually be lost sight of.”6 Several statements from Ellen G. White concerning wages in church institutions were read, and the committee broke away from deliberations at least twice during the day to pray for divine guidance on the matter. Reports in Adventist Review and Ministry magazines indicated that the hospitals were facing financial challenges in retaining top management under church wage caps. At the same time, morale was also suffering. With the federal government enlarging Medicare and the management of the ever-growing healthcare markets becoming more complex, objections to higher administrative wages simply faded into the sand.14 After that, the law of supply and demand prevailed with a different economic model for highest-compensated employees. How Much Should Executives Be Paid? Salaries for key hospital executives were allowed to jump from $81,700 to $116,400.16 The approved plan included a 10-percent differential for geographic considerations and an additional 10 percent for the three largest hospitals at that time—Florida Hospital, Kettering Medical Center, and Loma Linda University— and the health systems corporate offices.17 This was three to four times the earnings of other church employees, including some who voted for the change. Once freed from church wage caps, the top hospital executives’ total compensation ballooned (within a few years) to well over a million dollars, using a variety of reward strategies to create more annual pay. Currently almost 50 percent of executive earnings are in the form of bonuses, incentives, and other cash, including deferred nontaxable benefits, gross-up tax payments, travel for companions, and supplemental employee retirement plans not available to lower-paid hospital employees.18 These supplemental gains were one way to get around the salary caps approved by the GC, and they are not unusual for the nonprofit hospital industry. When accounts of these executives’ high wages began to appear in the newspapers, many church members raised their eyebrows and wondered what was happening. Others were shocked and outraged to learn of the details.19 One of the first stories was carried by the Washington Post. The Post reported that Bryan Breckenridge left his job in 1997 as president of Washington Adventist Hospital with a lump-sum payment of $4.74 million, and soon thereafter chief financial officer Edmund R. Peters also resigned with $3.1 million in total compensation for the year. The executives go on to champion high wages as the only way to attract highly trained individuals who can manage a hospital facility with many employees, provide access to the uninsured, and at the same time deliver quality care that saves lives. Also, they defend high wages because some income includes supplemental retirement accumulations before the executives are qualified to receive the money. Given that the base wage may begin around $500,000, it is still disappointing to many denominational church workers to learn of such high wages. Their general reaction comes from a long-held (almost sacred) view that high wages are a substantial deviation from the “philosophy of remuneration maintained by the SDA Church involving sacrificial wages while doing God’s work.”22 Others who are more pragmatic say that you must pay for expert hospital leadership. The hard questions begin when you ask what hospital executives should make, and why. 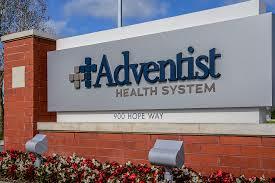 In economic terms, the Adventist hospitals have gross revenues almost six times greater than worldwide church revenues. Adventist healthcare is big business. These tax-exempt nonprofit hospitals are community institutions deriving in large part revenues from taxpayers (Medicare) and insurance payers. It is not widely known, but the tax reports indicate that some residual revenues are directed in supporting SDA churches, union and local conferences, and educational institutions. Church officials contend that in order to attract well-qualified CEOs and other top executives, it is necessary to follow labor market trends, just as in other businesses. Hospitals may be taxexempt charities, but they are still complicated businesses with narrow profit margins. They need skilled and talented executives to keep them running. Management consultants go on to argue that there is, in fact, no rational basis for why executives should not be paid as much as they are paid. This all boils down to what a job is worth, what an employer is willing to pay an employee to do it, and what an employee is willing to accept as payment for the job. Much of the deep-seated public resentment toward executive pay in healthcare can be attributed to an awareness that tax-exempt nonprofit hospitals are community institutions paid for in large part by taxpayers. However, the attitude against high wages in Adventism is somewhat different. Criticism is colored by a cautious moral veneer that many young Adventists acquired: a belief in the cultural value of working under conditions of sacrificial wages in readiness for the second coming. Terrible in light of the fact that those ministers who actually preach the Gospel message by which some may come to faith in Christ, actually are provided a living wage. I lost more respect for Adventism than ever before. They are simply thieves in the Lord’s vineyard. Terrible for them in the day of judgment when they will crow that they observed the Sabbath and did not eat unclean meat. I agree! Nevertheless, I would be reticent to use such a strong language, lest I fall into the other extreme by assuming a posture based on religious pride. Paying Health Care CEO’s ten times the compensation of the average other Adventist leader is incomprehensible to me. I would like to note that Health care managers used to receive similar compensations to the rest of the church workers until Neal Wilson convinced the church to remove the salary limits on health care CEO’s. Of course, he is also the one who got us into the abortion business. We Adventists have a lot to repent of if we want to receive mercy from above! Adventists are in the abortion business? Details please. Envy is not becoming. These are multi-million dollar organizations requiring highly educated, knowledgeable leadership and long hours of dedicated service to provide quality care and ministry. Put another way, you wouldn’t want the type of care available at an organization paying their senior executives in the range YOU think is reasonable. Barak Obama in a healthcare context as support for your argument, really? I don’t think you want to go there! Moreover, why not look at what’s in their refrigerator or check the length of the ladies’ hemlines or whatever other comportment box of your choosing? After challenging you as I have (and I should no doubt moderate my response), it may be difficult to make the transition I’m going to attempt. Our behavior is not what’s at issue in our faith walk. There is none among us who can claim a hypocrisy free existence. Christ’s righteousness is at the heart of our walk. His love justifies, sanctifies and restores us to His image and likeness. Our obedience, performance or behavior isn’t relevant, only our belief in His faithfulness is what matters. Then he who began a good work in you…the AUTHOR and FINISHER of your faith (which is a gift) will transform you by the renewing of your mind. He will sanctify you completely, faithful is he that called you, who also will do it! It isn’t executive compensation that harms our witness, it’s an improper focus and a distorted view of agape exemplified in Christ and him crucified that turns away. Jesus set himself as an example for all those in the healing work. How much did he charge for his healing services? Craig, our obedience and our behavior IS “RELEVANT” – the Bible is very clear presenting historical life narratives of great men that were obedient ! Most biblical blessings are CONDITIONAL – received by our OBEDIENCE. Inspiration is very clear that obedience is critical to our Christian experience. “FAITH WITHOUT WORKS IS DEAD” – obedience is that “works”. Remember the question Christ asked – “which one did the will of his Father?” – The answer? The son that eventually went to the field and worked as his Father asked him to do. OBEDIENCE DOES MATTER AND IS NOT LEGALISM !